Leonard Cohen is a Canadian singer / song-writer / poet, born in 1934, who has been producing music since his first self-titled album in 1967. “Hallelujah” is one of his most famous songs, and was released on his 1984 album “Various Positions”. The song initially had limited success, but attention was shone on the song by covers by John Cale, Jeff Buckley and kd Lang. It is “Hallelujah” that Bono covers on this compilation album. Howie B. was first brought in to meet the band when Bono was working on the recording of “Hallelujah” as a potential producer for the song that Bono was struggling with. He then worked with the band on the Passengers album, and then would produce “Pop”. U2 would often play snippets of “Hallelujah” live in concert, often adding it at the end of the show during the PopMart concerts. 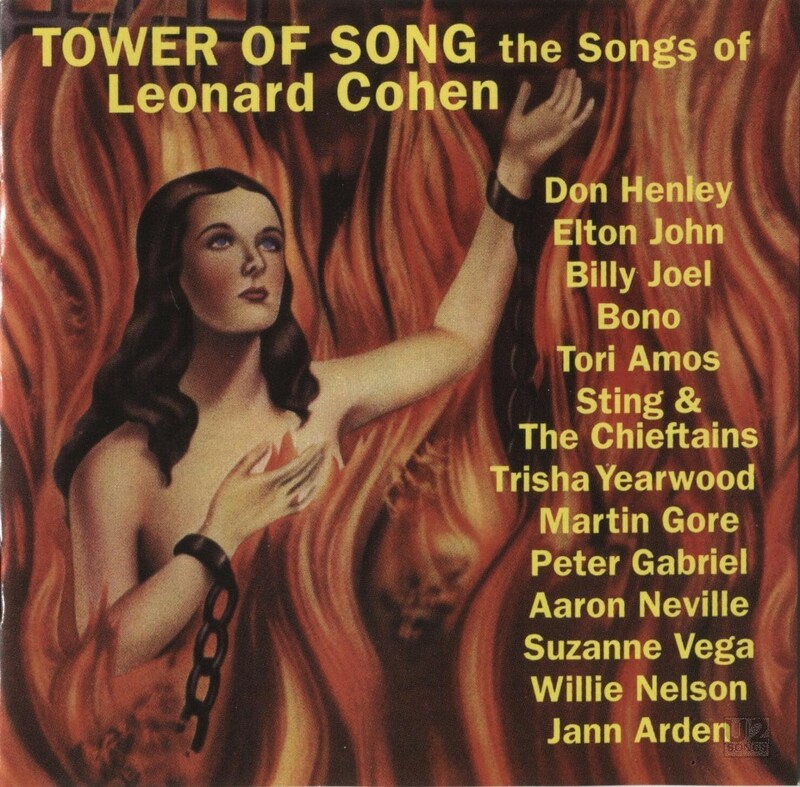 The compilation album “Tower of Song” was released in Canada with a cover that was taken from the back cover of Cohen’s album “Songs of Leonard Cohen” a version of the painting “Anima Sola” featuring a woman in chains engulfed in flames. The cover was changed for the international release, instead featuring a notebook cover with the title of the album on it, and a note with the artists listed. The inside liner notes features a picture of Bono leaning against a light covered with oriental characters, holding an umbrella, wearing his fly shades. Written by Leonard Cohen. Lead vocal, bacing vocals, finger clicks: Bono. Backing vocals: Louise McCormick. Keys: Jeremy Shaw. Produced by Bono. Engineered, mixed and recorded by Louise McCormick. Additional production and remix: Howie B. Assistant engineers: Will and Danny.